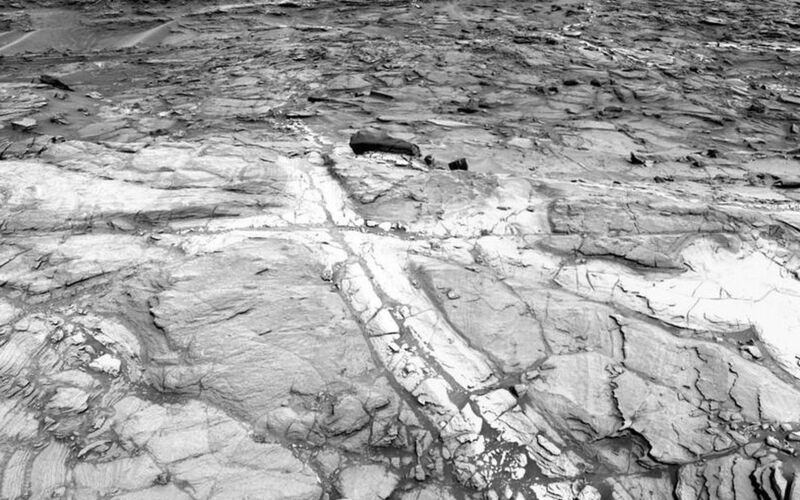 Pale zones called "halos" border bedrock fractures visible in this 2015 image from NASA's Curiosity Mars rover. 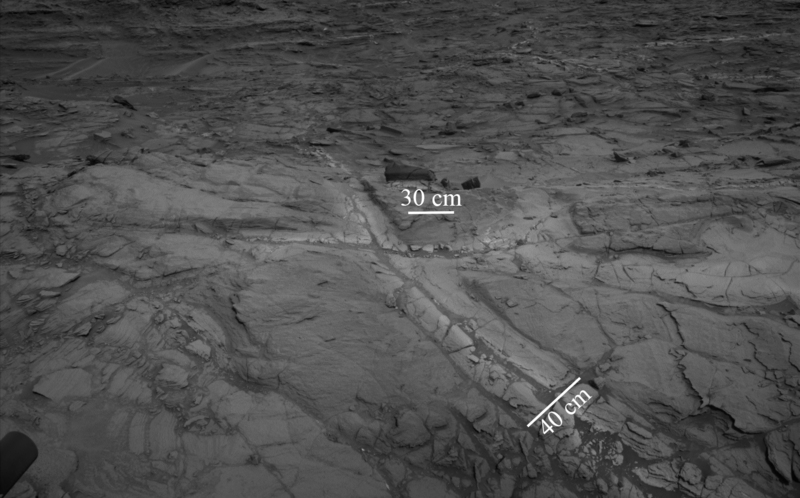 The rover team determined that the halos are rich in silica, a clue to the duration of wet environmental conditions long ago. 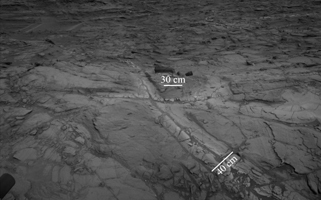 The location is on the lower slope of Mars' Mount Sharp. 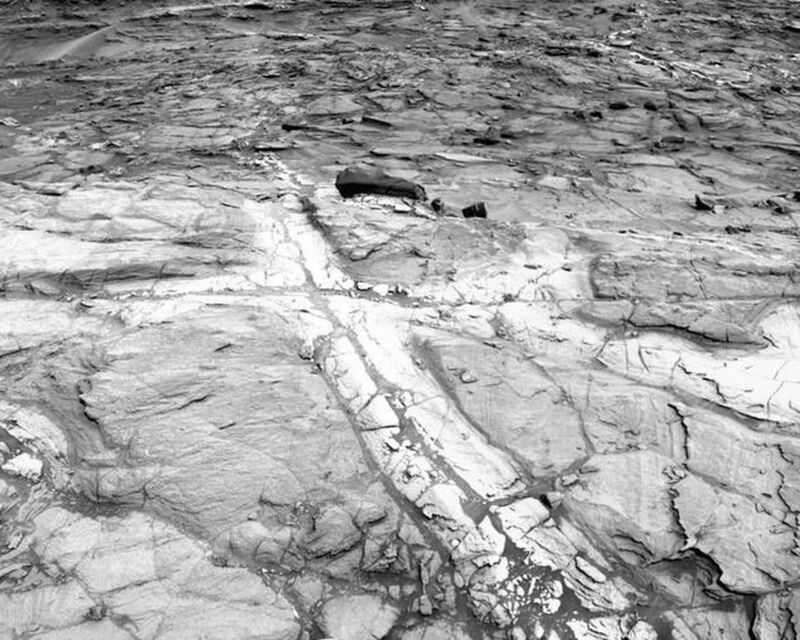 This view from NASA's Curiosity Mars rover shows an example of discoloration closely linked to fractures in the Stimson formation sandstone on lower Mount Sharp. The pattern is evident along two perpendicular fractures. 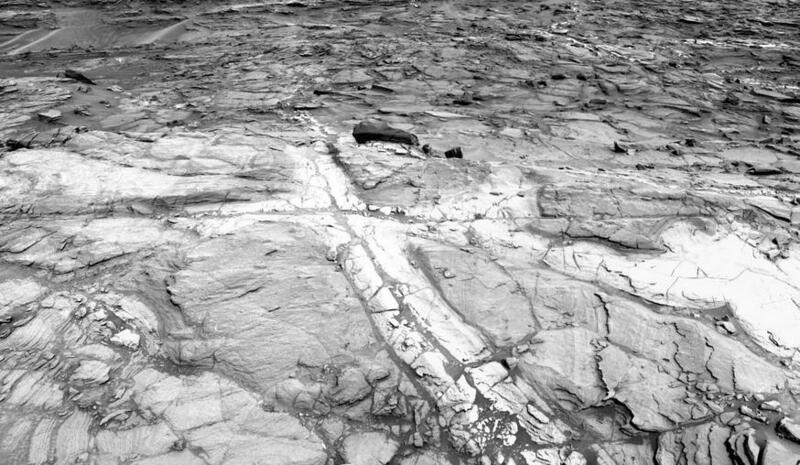 Curiosity's Navigation Camera (Navcam) acquired the component images of this mosaic on Aug. 23, 2015, during the 1.083rd Martian day, or sol, of the mission. The location is along the rover's path between "Marias Pass" and "Bridger Basin." 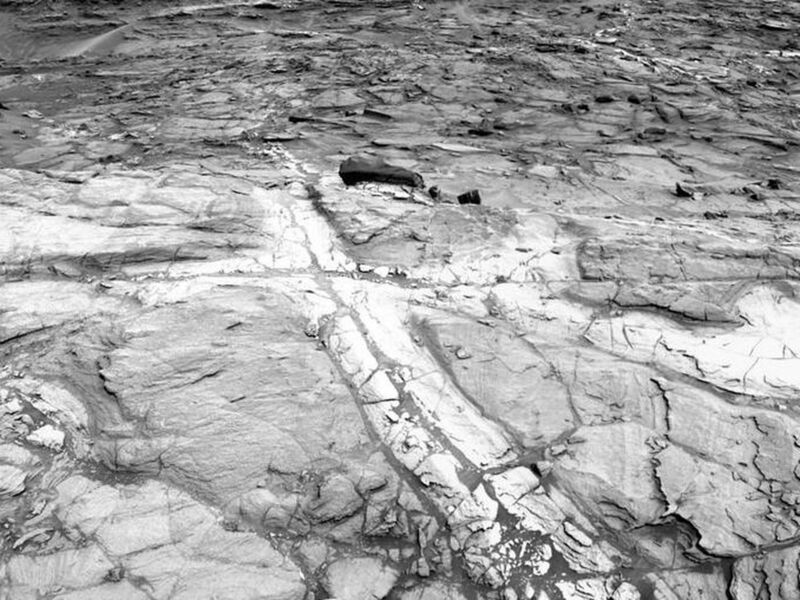 In this region, the rover has found fracture zones to be associated with rock compositions enriched in silica, relative to surrounding bedrock. NASA's Jet Propulsion Laboratory, a division of the California Institute of Technology in Pasadena, manages the Curiosity project for NASA's Science Mission Directorate, Washington. JPL built the rover and Navcam. For more information about the Mars Science Laboratory mission and the mission's Curiosity rover, visit http://www.nasa.gov/msl and http://mars.jpl.nasa.gov/msl.